Thousands of books, including collector's items, will be available at bargain prices to benefit the museum's C. Laan Chun Library. Selections include Asian art, history, literature, religion, culture, cooking, travel, textiles, jewelry and more. 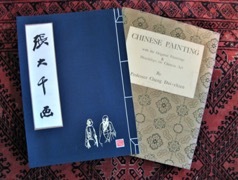 This year's rarities include a 1st Edition of "Chinese Painting with the Original Paintings & Discourses on Chinese Art by Professor Chang Da-chien", 1961. Over the past decade, the sale of donated books has raised more than $95,000 for the museum's library, one of the most extensive art libraries in the country. The funds are used to acquire publications and periodicals.